With the likes of One Direction, the Jonas Brothers, Hannah Montana and even Status Quo doing movies in the last couple of years. 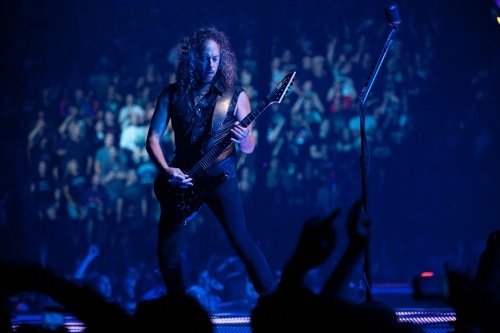 It’s now Metallica’s turn to get onto the big screen. This time it is the biggest of big screens! IMAX. Not only that they have also put in 3D and a ludicrous plot of a roadie getting a MacGuffin from somewhere else in the city. You will understand what I mean when you watch the below trailer. By just watching the trailer it comes across as an expensive vanity project to help sell the accompanying album that isn’t just a rehash “best of” album but a stand alone movie soundtrack – honest Guv! With a running time of 92 minutes, it seems to be a 25 minute film wrapped around a 60 minute 3D concert video that the likes of The Jonas Brother did 3 or 4 years ago and U2 even longer than that! 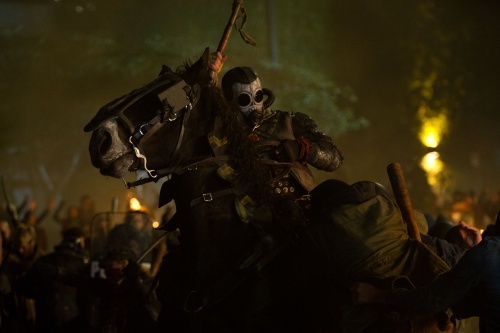 Even the images that have been released have also been split into two. One set showing the “plot” of the movie and the other set showing what most people will go and see. The band playing songs that you know. 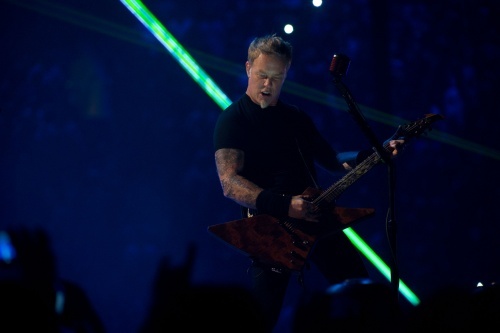 Award-winning filmmaker Nimród Antal (Predators, Kontroll) creates a groundbreaking 3-D motion picture event, METALLICA: THROUGH THE NEVER. The music-driven feature film combines a bold narrative and spectacular live-performance footage of one of the most popular and influential rock bands in history to produce a bracing, raw and visceral cinematic experience. 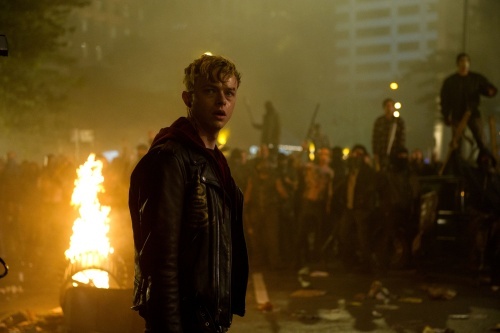 Emerging young star Dane DeHaan (The Place Beyond the Pines, Kill Your Darlings, The Amazing Spider-Man 2) portrays Trip, a young roadie sent on an urgent mission during Metallica’s roaring live set in front of a sold-out arena. As the band performs its most iconic songs for thousands of their fans in a never-before-seen performance created exclusively for the film, Trip is dispatched outside the arena to meet a disabled delivery truck and recover a mysterious item being transported to the show. But the seemingly simple assignment turns into a surreal adventure. Metallica have also released the details of ‘Metallica Through The Never (Music from the Motion Picture)’ the soundtrack companion to the forthcoming film. The two disc CD set and digital version will be released on Blackened / Vertigo on September 23rd, featuring spectacular live renditions of Metallica favourites such as ‘One’, ’For Whom The Bell Tolls’, ‘Enter Sandman’, ‘Ride The Lightning’ and ‘Nothing Else Matters’ to name a few. You can now pre-order an exclusive bundle only from the Official Store. The bundle features the two-disc CD, an official METALLICA: THROUGH THE NEVER movie poster and T-shirt. The Beatles gave us Mamma Mia!